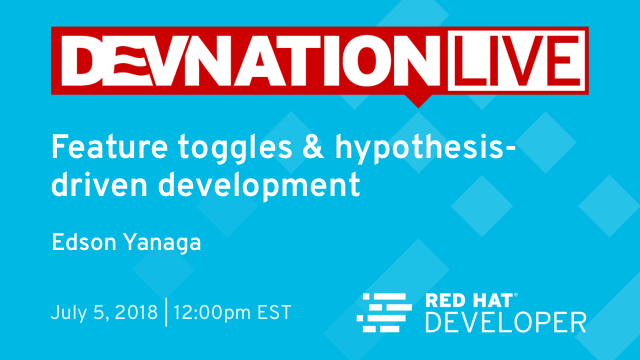 In this session, we’ll demonstrate how feature toggles can be incorporated into your software development process to let you quickly assess the business results of changes. By toggling functionality on and off, you can measure the impact and make better decisions based on real data. 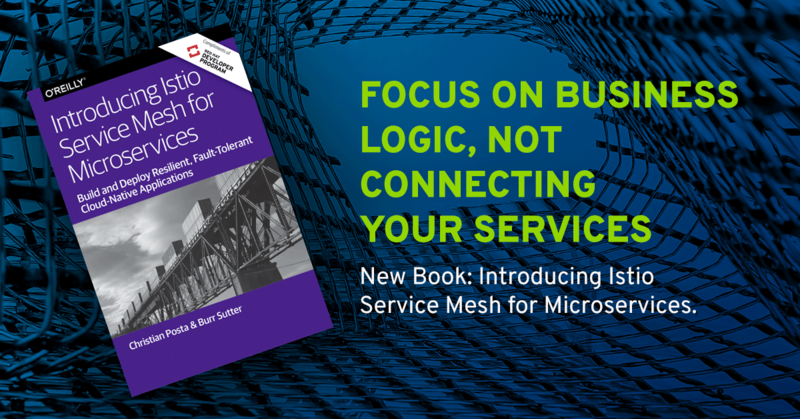 Join us to gain an understanding of how the use of hypotheses, not requirements, can help you deliver what your business actually requires while learning quickly what works and what does not. Register now and join the live presentation at 12pm EDT, Thursday, July 5th. 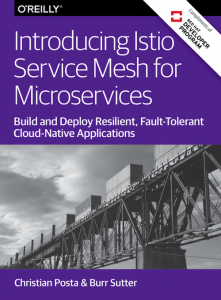 A significant challenge of moving from a traditional monolithic application design to a microservices-based architecture is the ability to monitor the business transaction flow of events throughout your entire distributed system. 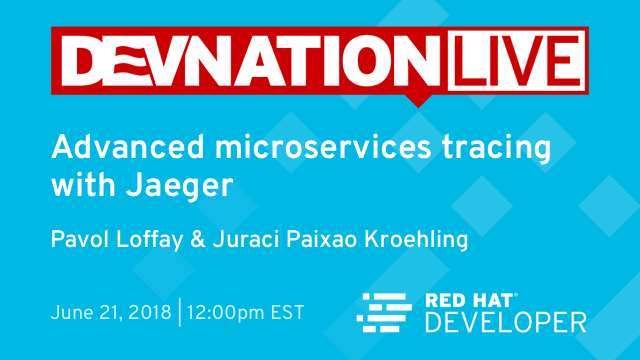 Join us for the next online DevNation Live on June 21st at 12pm EDT for Advanced Microservices Tracing with Jaeger, presented by Red Hat software engineers Pavol Loffay and Juraci Paixão Kröehling. 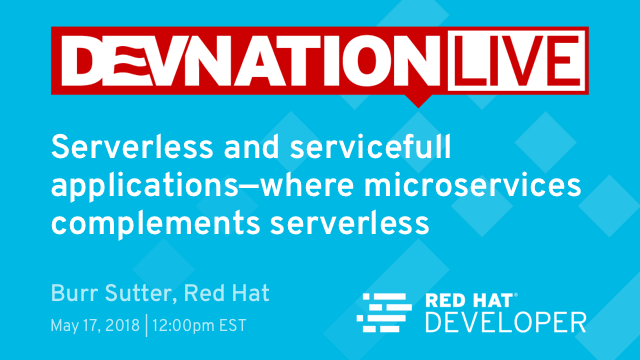 In this session, we’ll examine in detail the Cloud Native Computing Foundation (CNCF) OpenTracing API, a consistent, expressive, vendor-neutral API for distributed tracing and context propagation. We will also analyse Jaeger, an open source distributed tracing system inspired by Google Dapper and OpenZipkin. 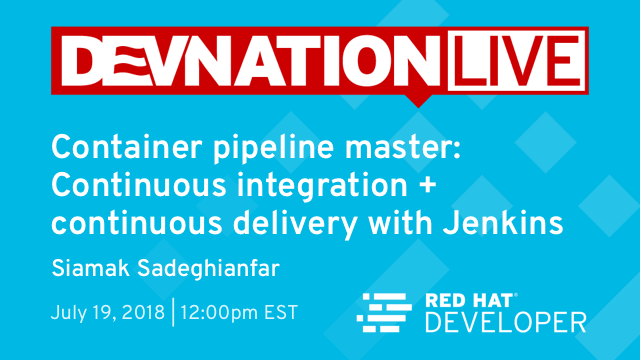 Join us to gain an understanding of Jaeger’s open source distributed tracing system and how it can help you monitor and troubleshoot microservices-based distributed systems. In case you missed it, Jakarta EE is officially out! Java EE was given a new home at the Eclipse Foundation and on February 26, 2018 Jakarta EE was chosen as the new name for Java EE. 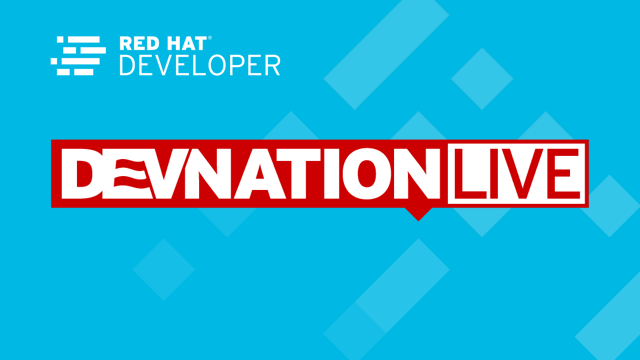 Join us at the next online DevNation Live Tech Talk on Thursday, May 3rd at 12pm EDT. The topic is “Jakarta EE: The Future of Java EE” presented by Dr. Mark Little, and hosted by Burr Sutter. Java EE has been the dominant enterprise Java standard for well over a decade. With the release of Jakarta EE, we all have a chance to collaborate and build on the good things it inherits, while working to evolve those pieces that were perhaps never quite what was needed. 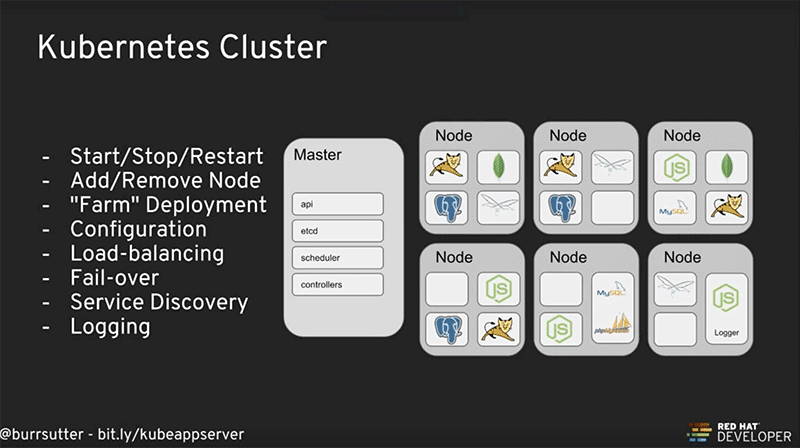 What does this mean for the future of enterprise Java and traditional Java application servers? Join us to gain an understanding of where Jakarta EE is heading and how you can help drive the future of enterprise Java. 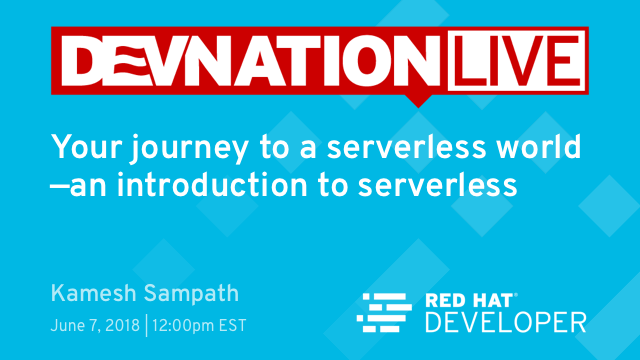 Register now and join the live presentation at 12pm EDT, Thursday, May 3rd.